I recently had a client who found SharePoint’s wide range of features to be overwhelming and preferred the familiarity of Google Drive. Luckily for this client, it is now possible to mix the two environments of Google and Microsoft, which is exactly the solution I was able to implement. From there, go to “Add an application” and select G Suite. Once the application has been added, go to the single sign-on configuration. You will need a test user before deploying this solution for wide use. Simply add the test user, then go to the “Provisioning” section and click the “Authorize” button. Enter your G Suite admin credentials before testing the connection. Next, add your test user. This user will be pushed to the Google directory. This sequence must be followed and the primary domain on G Suite has to be added. The last part, https://mail.google.com, is interchangeable with any Google service (such as https://drive.google.com). The Test SAML Settings are helpful for troubleshooting as they allow me to confirm that I’ve entered the correct values for the above directions. If Test SAML Settings reveals no issues, then I recommend beginning to configure G Suite using the below steps. The above three items will be required to configure G Suite’s single sign-on. Fill in the three fields denoted in the above image. Go back to the “Single sign-on” section and test the SAML settings. You will have the option of selecting the current user or another user. If the sign-on works for the selected user, it will redirect you to your desired Google service (for example, if the sign-on URL is https://www.google.com/a/<your-domain>/ServiceLogin?continue=https://mail.google.com, then you will be redirected to Gmail). If the Office 365 portal says you have an issue, copy the error message at the bottom of the screen and paste it into Azure AD. This will check the configuration for you and suggest a solution, which always works well for me. Once you have validated your configuration, you will need to push all the users. Go back to the “Provisioning” section and this time, opt to sync all users and groups. You will also need to add all users in the “Users and groups” section. 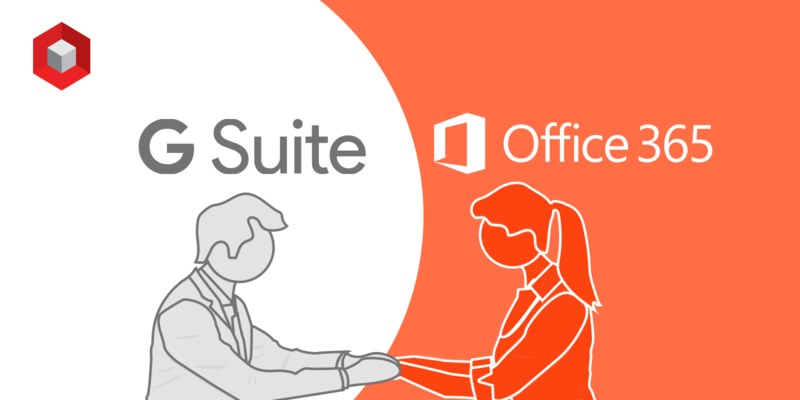 Then now you are able to use G Suite with Office 365. NIFTIT is a development and design agency in New York, Vietnam, and Hong Kong. We are dedicated to empowering businesses of all sizes and non-profit organizations through nifty solutions. Our team develops customized solutions according to the best business practices in the industry. In our weekly blog, we provide the latest news and useful technical information about SharePoint, Office 365, and Power BI. We welcome you to subscribe to our newsletter!